Switzerland isn’t all about the mountains, though they are a prime reason to travel there any time of year. 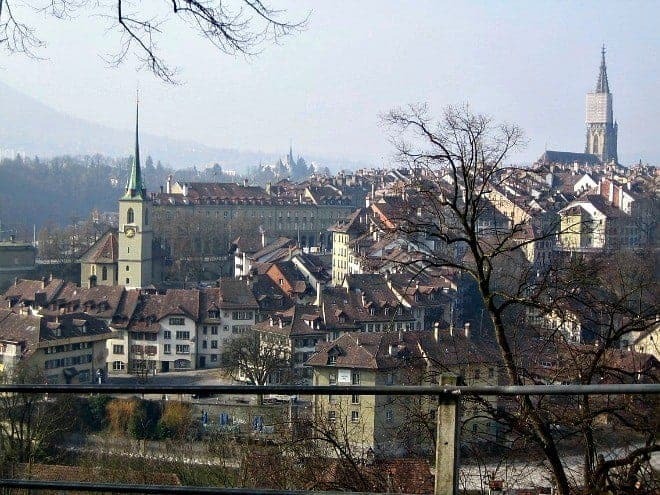 Swiss cities, towns and villages offer families a surprising number of things to see and do, and one of our favorites is the UNESCO World Heritage capital city of Bern, Switzerland. We love spending time in Bern. Its slower pace, beautiful historic buildings, green spaces and museums offer something for everyone. We enjoy it so much, we’ve put together a top ten list of family-friendly things to do in Bern with kids. 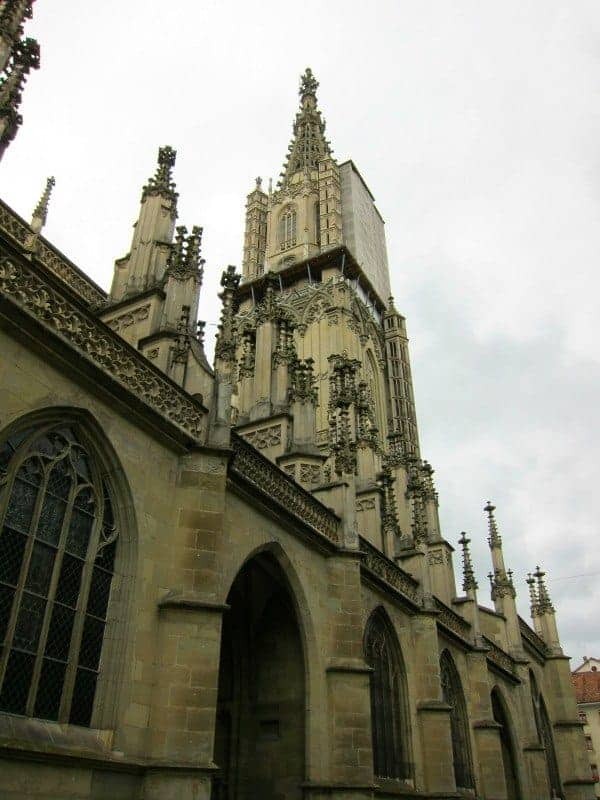 Bern is a city filled with history. One of the most amazing and popular historical attractions is the still-working Zytglogge – an astronomical clock built as the city’s main clock in 1530. [Given the Swiss reputation with time-pieces, it’s hardly surprising that it’s still working.] It chimes every 15 minutes, but saves the biggest show for the top of the hour, when the jester rings the bells and the medieval figurines (human and bear) turn round. 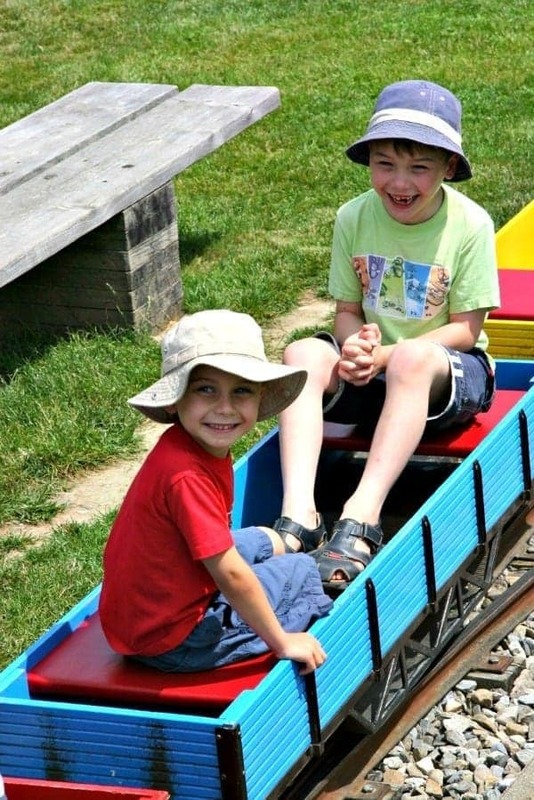 Within a short tram ride of the Old Town is the Gurten Park, a kids wonderland of playgrounds, miniature trains & riding cars, an observation tower, and cafes and restaurants. Located over 800 metres above the city of Bern, the Gurten offers 360 degree views of the city and countryside, as well as the Alps of the Bernese Oberland. Looking to go beyond Bern? 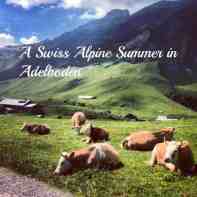 Check out this post on the best things to do in Interlaken. 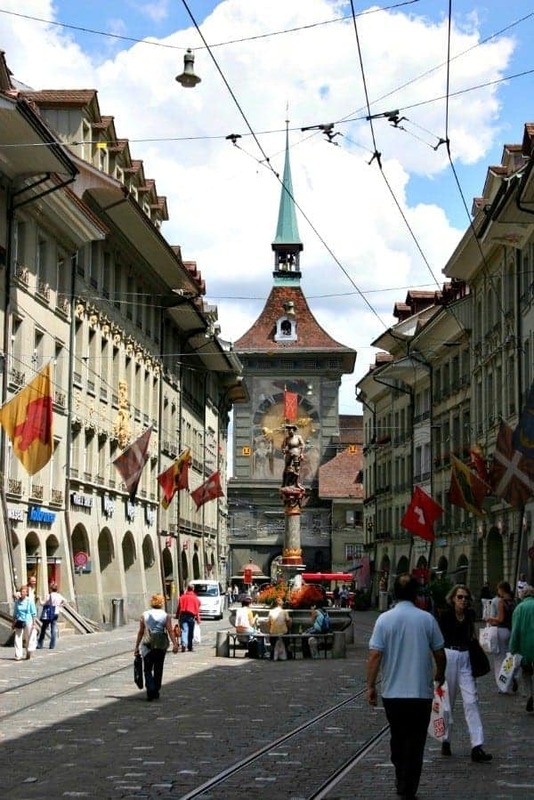 Bern is named after the German word for bear ‘bar’, and the bear symbol is on the city and canton’s coat of arms. The Bernese have kept a Barengraben, or Bear Pit, as a tourist attraction, since 1857. 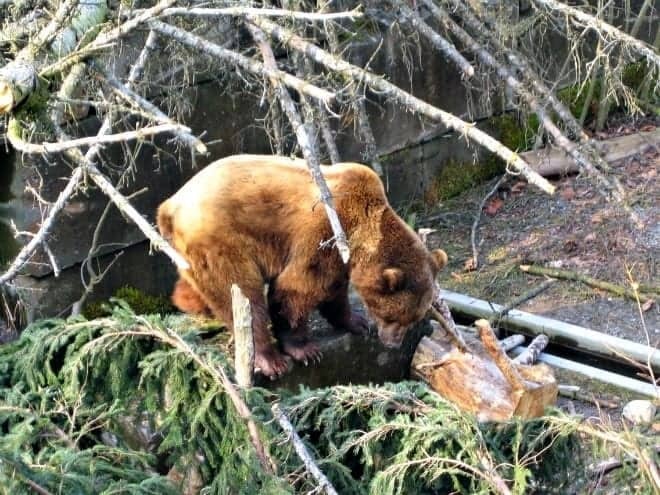 Fortunately for the bears, their home was transformed in 2009 with the opening of the BarenPark, a much larger, treed area for the bears to roam, along the banks of the Aare River, just below the original pit location. There is tourist information building above the BarenPark, with movies & displays about the history of the city. The old town of Bern is encircled by the very fast moving Aare River. In summer, the vast (and free) Aarebad Marzili is open on the banks of the Aare, just below the Parliament buildings. The Aarebad Marzili includes several kid-friendly wading pools, a diving pool and a 50m swimming pool, all set within extensive green lawns for families to enjoy a full day of sun and swim. 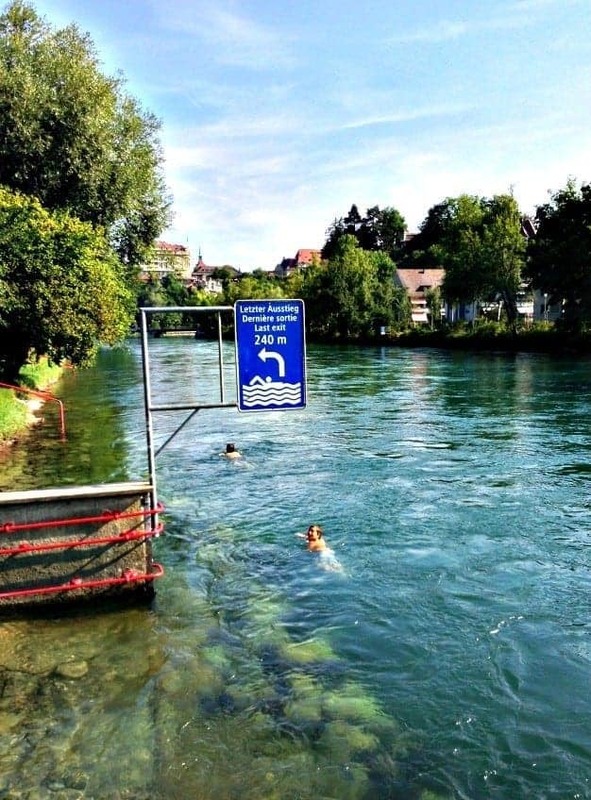 The most unique – and best – draw is the opportunity to swim in the Aare River itself. The Aare is cold, fast-moving, Alpine melt water, usually a beautiful blue in colour. You don’t even have to swim – you can usually just float along for the ride. The trick is to enter near the Marzili bathing area, and stay close to the banks to catch your arm on one of the exit steps to get out. Don’t wait for the last exit! The 15th century, medieval sandstone arcades and narrow streets of Bern’s old town centre make for wonderful (and weatherproof) walking, shopping and sight-seeing. You can easily walk from the Bahnhof (train station) to the Barenpark and back in a few hours, visiting many sites along the way, including the more than 100 fountains. Eleven of the fountains are of particular interest, topped with vibrant Renaissance figures with their own unique histories. The most interesting (and disturbing perhaps) is the Ogre Fountain, which depicts an ogre devouring (presumably disobedient) children. A good cautionary tale for encouraging good manners on the road! 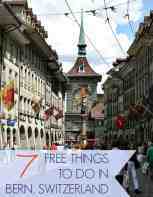 Like any good state capital, Bern has a great selection of Museums. Albert Einstein’s stay in Switzerland is showcased in Einstein House, in the old town. The Bern Historical Museum has great historical treasures & exhibitions in a old castle, and also has an Einstein Museum focusing on his life and work. The Alpine Museum is across the Helvetiaplatz from the BHM, and chronicles the Swiss relationship with, and the glory of, its famous mountains. For more avant garde visual art, visit the Kunst Museum Bern. You won’t find this on any official tourism map, but this doorless elevator that never stops, found in a four-storey commercial building in the Old Town, is a personal favorite from my own childhood. 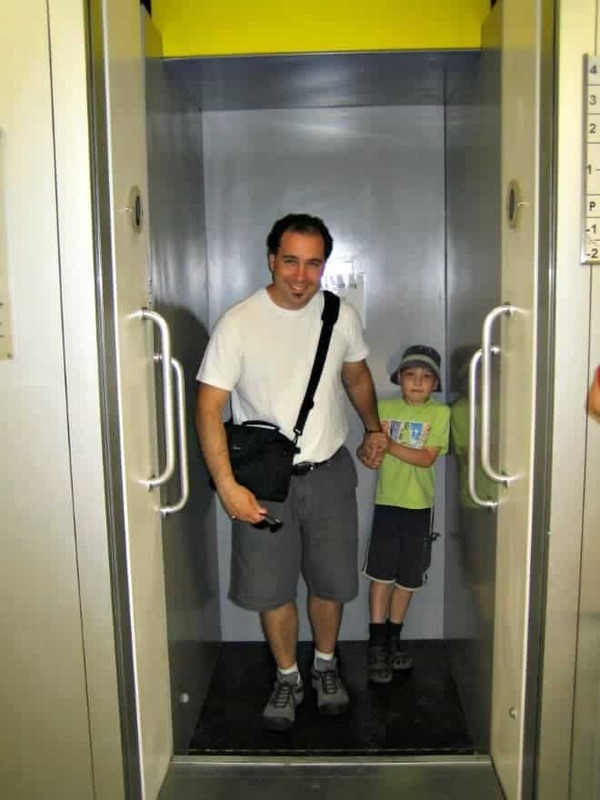 It’s impossible to imagine such a thing in North America, but this ‘crazy elevator’ has existed for over 40 years in Bern. How awesome is that! 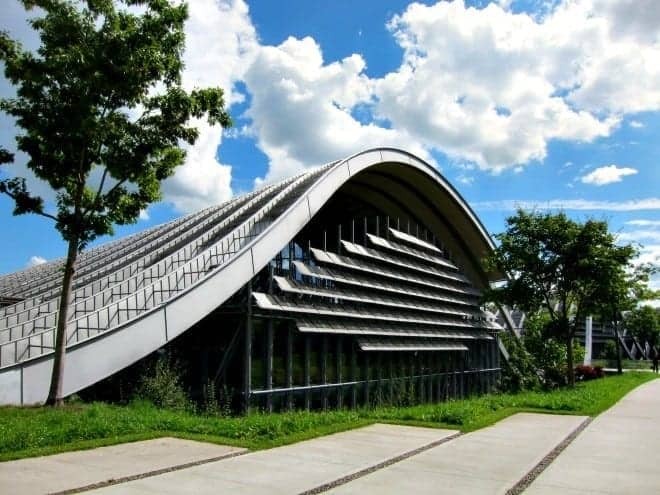 Just outside the city is one of the newest and unique Museums in Bern, the Zentrum Paul Klee. This incredible architectural masterpiece (by Renzo Piano), showcases the life of Switzerland’s most famous modern artist and his works. The Children’s Museum ‘Creaviva‘ within the Zentrum offers child-specific programming in several languages, promoting individual artistic expression. The outdoor Tierpark Dahlholzli (Animal Park), is across the Aare River from the Old Town. There is a vast array of animals & reptiles, a KinderZoo, playground, and an excellent restaurant on the banks of the river. The Tierpark is made for children playing from one section to the next, and leisurely strolls through the extensive grounds. Tip: Switzerland is notoriously expensive. A good family-friendly value hotel option is Hotel Alpenblick, within walking distance of the Old Town. If money is no object, the Bellevue Palace Hotel in the heart of the city is top drawer. 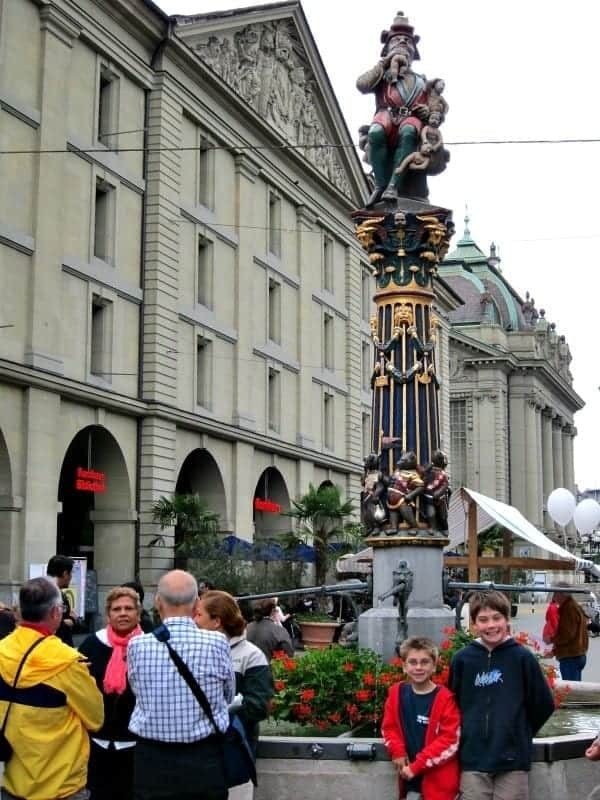 Have you visited Bern? What did you enjoy most about this beautiful capital city? Share your comment below. This is the third article I’ve read about Switzerland today — I’m obsessed. Great list of things to do. My daughter would spend many many happy hours in the Gurten from what you described, but I think I’d love to take a float in an Alpine river. This looks wonderful! They’re both quite fantastic and fun! We went to Bern for our honeymoon (almost 20 years ago). I would love to go back with our kids and experience all these awesome things. I think they would love swimming in the river. I hope you get there with your kids too Kirsten! They’d enjoy it. The Gurten sounds wonderful for the kids, and I’ll take the views! Great list!! I just love river wading pools. Was it warmer than the Rockies or a mountain stream near Whistler? Oh no my friend! This is a fast-flowing river with melt water from the Swiss Alps. It’s cold… And fantastic in summer. Can you believe I’ve never been to Bern?! 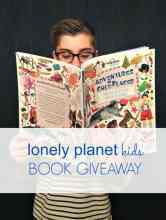 It looks like a fabulous place to explore with kids; I particularly like the idea of swimming in the Aare River (as long as there’s sunshine!). You would love it Katja! And I hope you get to visit soon, it’s a gorgeous medieval city. We love Switzerland and Bern will definitely have to be added to our itinerary next time we go. I love all the diversity of things to do. Yes, there’s so much for families to enjoy! Hi! I’ll be travelling to Bern this April with my 4 year old and 3.5 year old. Do you have any restaurant recommendations that would be good for kids that age? Thank you!! Eating out in Bern can get expensive. The most affordable place to eat is at the Migros grocery store. They have some great takeaway options for a picnic, or enjoy the food in-house at the store. We’ve done this more than a few times ourselves! There are many pizzerias that would also be affordable, with kid-pleasing meals as a bonus. For a more formal meal with a view, try the Casino Restaurant overlooking the Aare River. Have a wonderful trip!